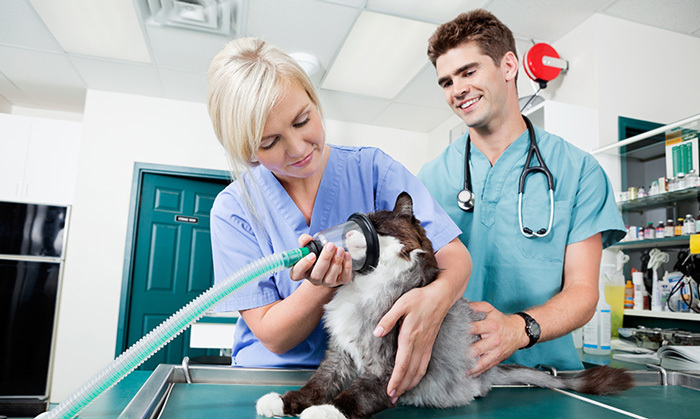 For successful registration to work as a veterinary technologist in Manitoba, you must be a graduate of a Canadian Veterinary Medical Association (CVMA) or the American Veterinary Medical Association (AVMA) accredited program. All veterinary technologists must be registered in the Province of Manitoba with both the Manitoba Veterinary Technologists Association and the Manitoba Veterinary Medical Association. The registration year runs from July 1 to June 30th. It is important to note that an individual cannot use the title Veterinary Technologist (or a variation or abbreviation of the title) or engage in the practice of veterinary medicine (as defined through scope of practice) in Manitoba without registration in both associations. If you are a current member of the MVTA or have had a membership with us within the past three years, you can renew your membership by clicking the link below. All late and lapsed fees apply after June 14th of every calendar year. If you are uncertain as to when you last registered, please contact our office and we will be able to assist you. It is important to note that after three years of not maintaining your membership you will be required to write the national exam. Has passed the national exam as approved by the MVMA, currently the VTNE. Be an active member transferring from another province without a break in membership, a break no greater than 3 years or has written the VTNE in the last 3 years. Is pending the writing of; or confirmation of results of, the national exam as approved by the Manitoba Veterinary Medical Association (MVMA), currently the Veterinary Technician National Exam (VTNE) administered by the American Association of Veterinary State Boards (AAVSB). Free to students enrolled in at Red River College’s Animal Health Technology Program. Must transfer to Temporary or Active membership immediately once graduated, prior to being approved to write the national exam. Currently there is no process available to register Veterinary Technologists who graduated from a Veterinary Technologist program that is not accredited by the Canadian Veterinary Medical Association (CVMA) or the American Veterinary Medical Association (AVMA). If you are moving or have decided to change career paths, we require you to complete a short survey which will also inform us to withdraw you from the Association. If you require a letter of Good Standing, please contact the MVMA.